My grandmother was the best cook in the entire world. The woman would put butter on toast and I would basically die over how she got the exact perfect ratio of butter to bread. It was so beautifully melted without being mushy. No one will ever top that woman in the kitchen EVER. So many of her recipes weren't written down anywhere. I tried a few times to watch her make mashed potatoes, because hers tasted like creamy goodness and heaven and love all stirred together in a crock pot, but she never seemed to make them the same way twice and I finally gave up. 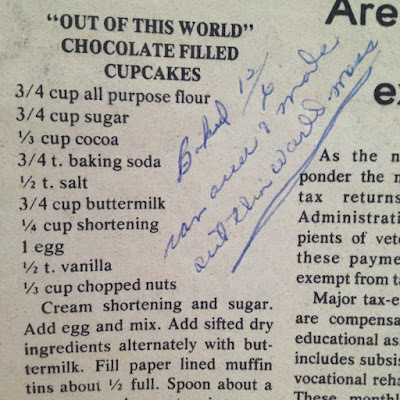 "made an out of this world mess"
Her handwritten notes are the best. 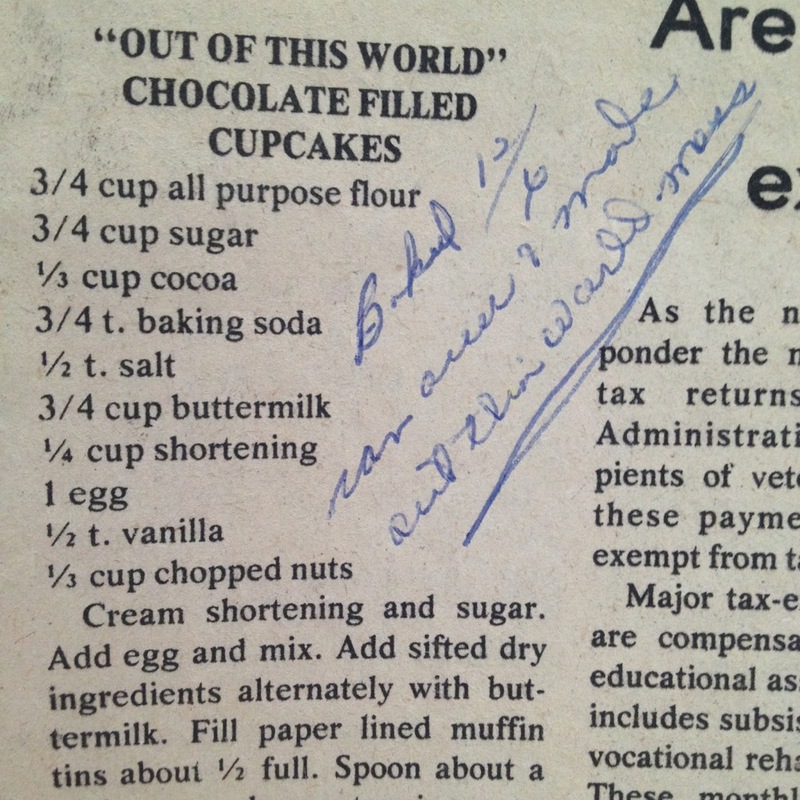 When she died last year, I inherited her recipe collection. It's an enormous mess of newspaper clippings, recipes cut from boxes, recipe cards, and hastily written notes on the back of whatever she had handy, such as receipts, envelopes, and shopping lists. I've been going through this pile for the last two days, trying to find some of her recipes to make for Thanksgiving this year. Her best recipes- the magic she performed on green beans, the unbelievable macaroni and cheese, and of course, those mashed potatoes- aren't anywhere in my stash, but I finally picked one that I know she'd love. She was a firm believer in the power of cream cheese. I thought you guys would like this too. Enjoy. There's no title. So let's just call it Love in a Pan. Spread one package of crescent roll dough across the bottom of a 13x9 dish. Press all the seams in the dough together, and press it into the ban and a little up the sides. Mix cream cheese, sugar, and vanilla. Spread cream cheese mixture on top of crescent roll dough. Sprinkle with cinnamon sugar. Do enough til you think it's too much and then do a little more. Trust me on this. Bake for 30 minutes. Let them cool before you cut and eat them--it'll be hard, because that cinnamon smell is going to destroy your willpower, but they're easier to handle when they're not quite so soft.